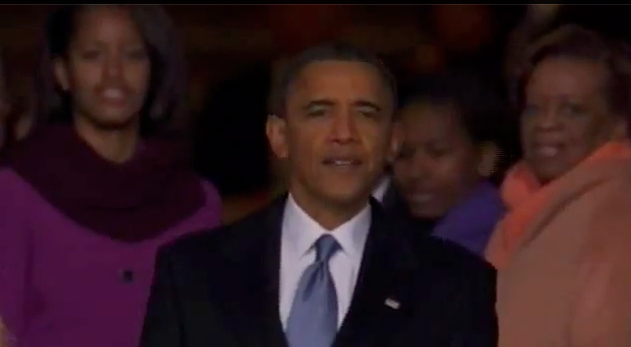 Yes, Barack Obama gave a wonderful speech at his second inauguration. He offered the nation an agenda for the next 4 years that was relevant and courageous. Unlike 4 years earlier, President Obama wasn’t trying to be the great conciliator trying to offer all Americans a little something. No, this time our 44th President opted to present himself as a great leader, who is now prepared to pursue an agenda that isn’t about coalition building, but is shaped by sophisticated values that promote equality, shared responsibility and compassionate concern for ALL Americans. With a simple gesture, Barack Obama confirmed what so many of us have long suspected: He’s the real deal. No hidden agendas; no pretentiousness. He’s simply a brilliant man with a compassionate soul who wants to make our nation and the world a better place. Thank you President Obama for returning dignity, decency, common sense and human values to the White House.